I can’t pick just one…. People ask us all the time what our favorite cake is that we have made. That is such a hard question! Ron will tell you that his “latest” favorite cake is something that was finished the week before. I tend to agree with him. However there are memorable ones that have stayed with me since I started working here over 4 years ago. Whether it’s a detail, the height or the over all look. Today I will share with you some of my most “memorable picks” that we have done here at the bakery. A very tall cake, this one was taller than me! 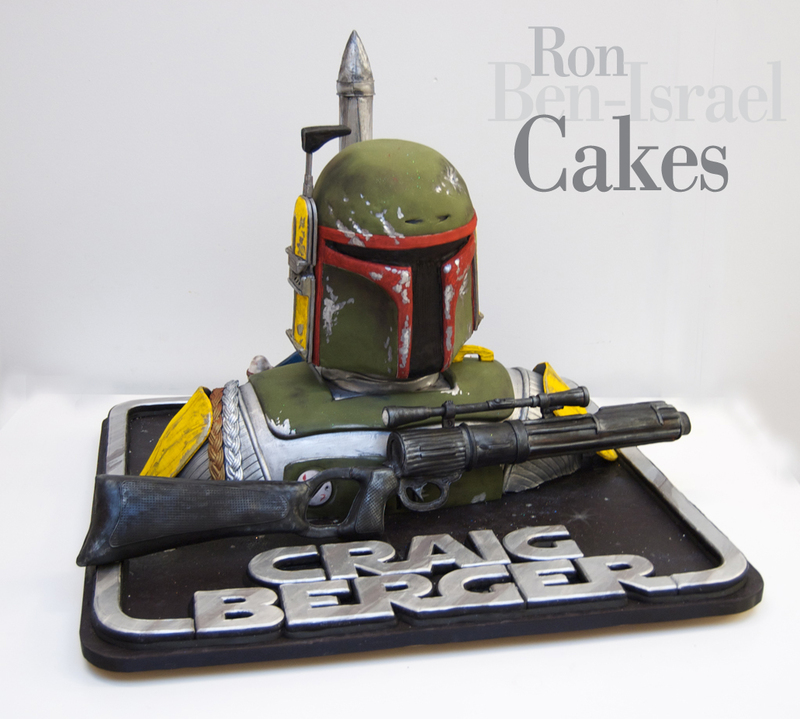 Yes, this is Boba Fett from the movie Star Wars. Being a huge fan of the Star Wars franchise (what you want from me - I grew up with 2 brothers) I was very excited to see this groom's cake completed. The bust was life size. 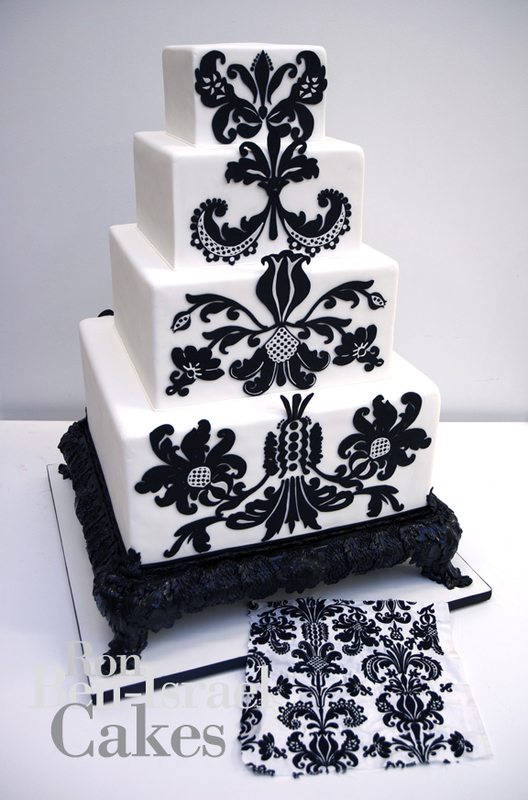 I love this cake because of the details. This was inspired by a tablecloth that was part of a "Black & White" story we did with Belle Fleur for Modern Bride Magazine. 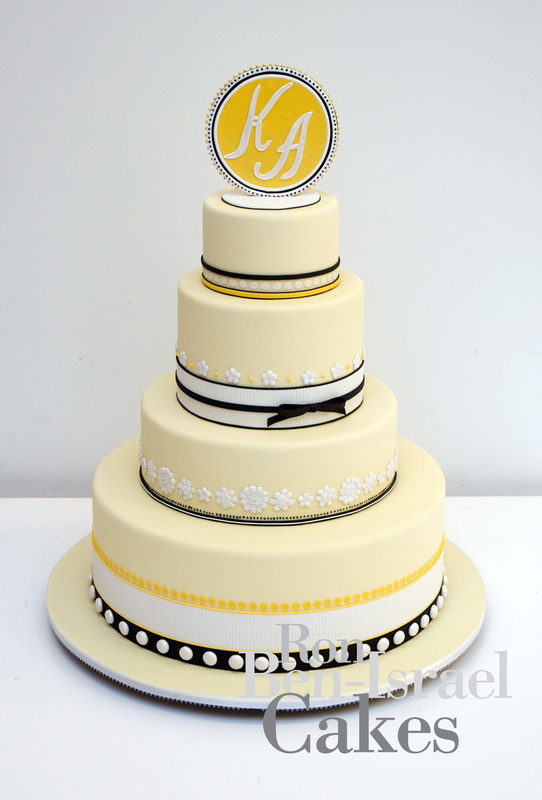 This sweet yellow wedding cake was inspired by the invite from Mr. Boddington's. Who does this to their birthday cake??? Ron Ben-Israel that's who. He turned his cake upside down for his 50th birthday celebration. 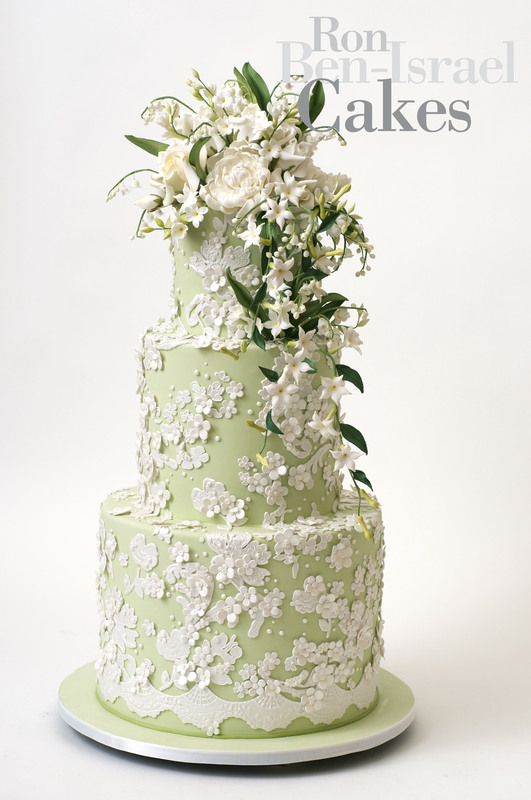 This cake was completely inspired by the bride's gown. The attention to detail is amazing and the lace pattern looked just like her dress. An Alice in Wonderland themed birthday cake. Some of the flowers have creepy little faces in them. This cake to me is one of the most impressive we have done. 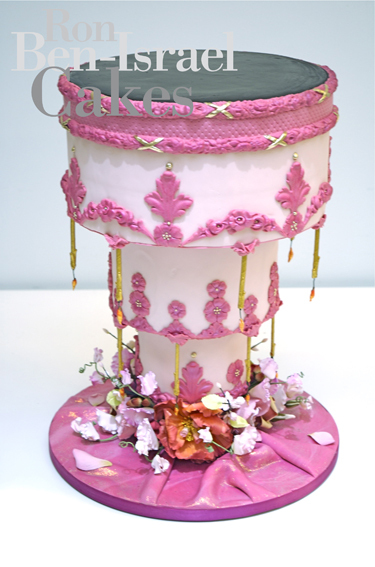 Not only is it executed to near perfection there is so much detail on this cake you don't know where to look first! I know I am one in a million (at least), but I would have soooo loved to meet Ron. He seems to be the coolest guy ever. I love that he turned his cake upside down! Thanks for the post. The images are so stunning. 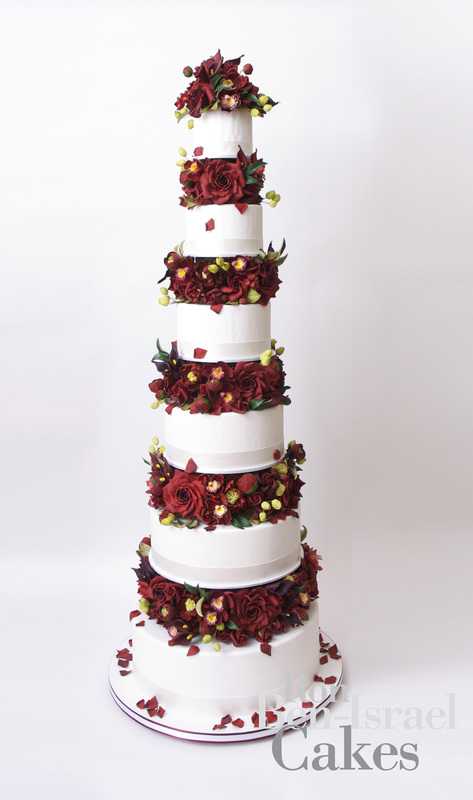 It’s so hard to pick a favourite as you guys have done so many iconic cakes. I really look forward to seeing what you will do next. 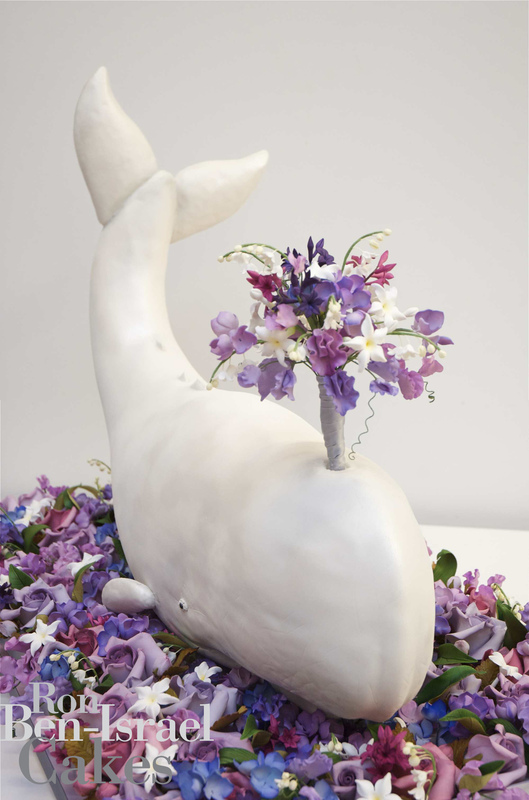 I saw the third cake from the bottom at the wedding and it was truly stunning! Kudos to the entire team. 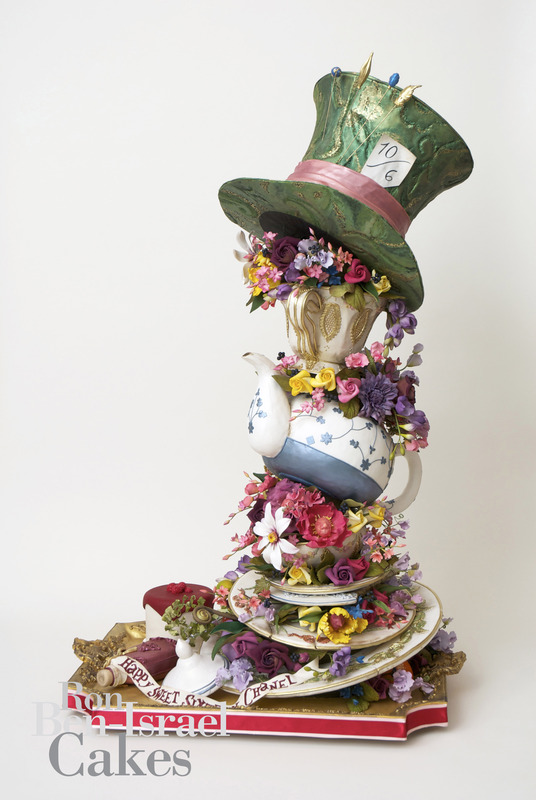 I really love the Alice in Wonderland cake as well. Rebecca – so nice meeting you and hope to see you again soon. You blow the doors off of most cake decorators…Super top notch gang!!!! ← Make the recommendation…we do….